If you’re a savvy traveler, you probably have it figured out by now that shoes always take up the most room in your luggage (unless you’re flip-flopping your way through Punta Cana). We found the Vivobarefoot Gobi II to be great for travel. It’s an excellent minimalist shoe option that’s lightweight, flexible, and designed to be the only pair you’ll need. We’ve been testing the men’s version, but you should know they do also come in women’s! 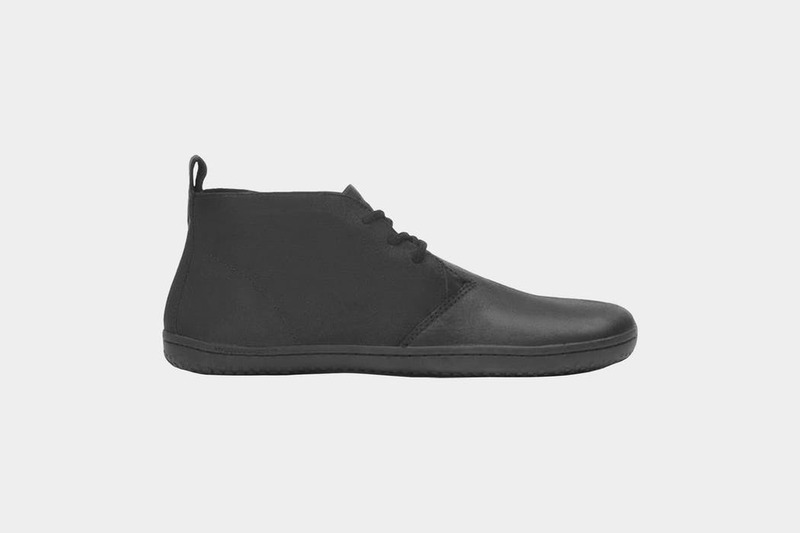 Vivobarefoot recently released a vegan version of these shoes: The Gobi II Eco Suedes. If you’re not familiar with the brand, Vivobarefoot specializes in off-road and exercise footwear using its patented slim, puncture-resistant sole, meaning, if you step on a piece of glass with these, you’re not gonna be f*cked. The bonus with this Gobi II desert boot is that it also brings the urban style. You can wear this shoe on a hiking adventure or to a semi-formal business meeting, making it your go-to shoes for just about all your travels. One pair of these Gobi II’s weighs in around 20.5 ounces or 1.3 pounds (in a men’s size 10.5/43 EU). While it’s nice and light, it’s important to keep in mind that these are barefoot-style minimalist shoes. You will be able to feel the ground when wearing them. If you are not used to super thin soles, you’ll want to ease into it to avoid any unnecessary pains. Do your research on how to transition before fully committing. You’ll thank us later. Another thing to note is that the Gobi II comes with a 3mm recycled foam insert. It’s very slim and flexible, but you will still feel the sticks and stones beneath you regardless of if you keep it in or take it out. We found this was slipping around in the shoe quite a bit during use and proved to be more of a nuisance than anything. Sizing can be a bit tricky with Vivobarefoot. We highly recommend looking at their size chart before ordering. 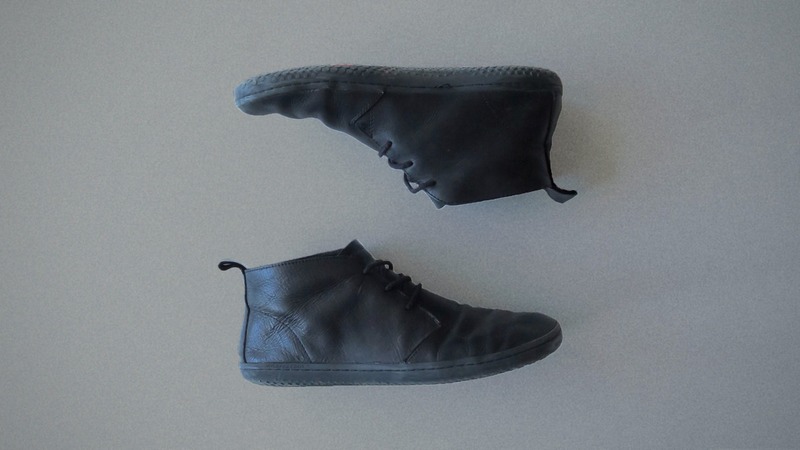 Plus — a little pro tip — at the time of this review being published, Vivobarefoot ships with a prepaid return label, so you can order a few pairs to find the perfect fit and send the rest back, hassle free. Feels comfy, looks classy with its fresh, smooth leather. They’re breaking in without ripping up. One of the tabs has broken off and the side-stitching is starting to fray. After wearing them nearly every day, they are as good as dead. On to the next pair! Functional and fashionable enough to be the only shoe you’ll need for most travels. Minimal design, minimal effort. They hold up pretty well, even without polish. Comes in various colors to suit your fancy. Sizing can be a bit of a bear. Order multiple pairs and you’ll be just fine. The tab can break off after a few months of heavy use and pulling them on and off. When looking for a one-shoe-fits-all travel companion, the Vivobarefoot Gobi II is a traveler’s best friend. Not only is it the shoe where function meets fashion, but it’s also lightweight and flexible for even your tightest packing situations.